"SLAC" redirects here. For other uses, see SLAC (disambiguation). SLAC research centers on a broad program in atomic and solid-state physics, chemistry, biology, and medicine using X-rays from synchrotron radiation and a free-electron laser as well as experimental and theoretical research in elementary particle physics, astroparticle physics, and cosmology. The entrance to SLAC in Menlo Park. 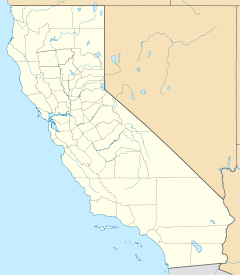 Founded in 1962 as the Stanford Linear Accelerator Center, the facility is located on 172 hectares (426 acres) of Stanford University-owned land on Sand Hill Road in Menlo Park, California—just west of the University's main campus. The main accelerator is 3.2 kilometers (2 mi) long—the longest linear accelerator in the world—and has been operational since 1966. SLAC's meeting facilities also provided a venue for the Homebrew Computer Club and other pioneers of the home computer revolution of the late 1970s and early 1980s. In 1984 the laboratory was named an ASME National Historic Engineering Landmark and an IEEE Milestone. SLAC developed and, in December 1991, began hosting the first World Wide Web server outside of Europe. In the early-to-mid 1990s, the Stanford Linear Collider (SLC) investigated the properties of the Z boson using the Stanford Large Detector. As of 2005, SLAC employed over 1,000 people, some 150 of whom were physicists with doctorate degrees, and served over 3,000 visiting researchers yearly, operating particle accelerators for high-energy physics and the Stanford Synchrotron Radiation Laboratory (SSRL) for synchrotron light radiation research, which was "indispensable" in the research leading to the 2006 Nobel Prize in Chemistry awarded to Stanford Professor Roger D. Kornberg. In October 2008, the Department of Energy announced that the Center's name would be changed to SLAC National Accelerator Laboratory. The reasons given include a better representation of the new direction of the lab and the ability to trademark the laboratory's name. Stanford University had legally opposed the Department of Energy's attempt to trademark "Stanford Linear Accelerator Center". In March 2009 it was announced that the SLAC National Accelerator Laboratory was to receive $68.3 Million in Recovery Act Funding to be disbursed by Department of Energy's Office of Science. The main accelerator was an RF linear accelerator that accelerated electrons and positrons up to 50 GeV. At 3.2 km (2.0 mi) long, the accelerator was the longest linear accelerator in the world, and was claimed to be "the world's most straight object." until 2017 when the European x-ray free electron laser opened. The main accelerator is buried 9 m (30 ft) below ground and passes underneath Interstate Highway 280. The above-ground klystron gallery atop the beamline is the longest building in the United States. A portion of the original linear accelerator is now part of the Linac Coherent Light Source. The Stanford Linear Collider was a linear accelerator that collided electrons and positrons at SLAC. The center of mass energy was about 90 GeV, equal to the mass of the Z boson, which the accelerator was designed to study. Grad student Barrett D. Milliken discovered the first Z event on 12 April 1989 while poring over the previous day's computer data from the Mark II detector. The bulk of the data was collected by the SLAC Large Detector, which came online in 1991. Although largely overshadowed by the Large Electron-Positron Collider at CERN, which began running in 1989, the highly polarized electron beam at SLC (close to 80%) made certain unique measurements possible, such as parity violation in Z Boson-b quark coupling. The SLAC Large Detector (SLD) was the main detector for the Stanford Linear Collider. It was designed primarily to detect Z bosons produced by the accelerator's electron-positron collisions. The SLD operated from 1992 to 1998. PEP (Positron-Electron Project) began operation in 1980, with center-of-mass energies up to 29 GeV. At its apex, PEP had five large particle detectors in operation, as well as a sixth smaller detector. About 300 researchers made used of PEP. PEP stopped operating in 1990, and PEP-II began construction in 1994. From 1999 to 2008, the main purpose of the linear accelerator was to inject electrons and positrons into the PEP-II accelerator, an electron-positron collider with a pair of storage rings 2.2 km (1.4 mi) in circumference. PEP-II was host to the BaBar experiment, one of the so-called B-Factory experiments studying charge-parity symmetry. The Stanford Synchrotron Radiation Lightsource (SSRL) is a synchrotron light user facility located on the SLAC campus. Originally built for particle physics, it was used in experiments where the J/ψ meson was discovered. It is now used exclusively for materials science and biology experiments which take advantage of the high-intensity synchrotron radiation emitted by the stored electron beam to study the structure of molecules. In the early 1990s, an independent electron injector was built for this storage ring, allowing it to operate independently of the main linear accelerator. To understand the mechanisms of particle acceleration in AGNs, pulsars, and SNRs. To resolve the gamma-ray sky: unidentified sources and diffuse emission. To determine the high-energy behavior of gamma-ray bursts and transients. To probe dark matter and fundamental physics. The Kavli Institute for Particle Astrophysics and Cosmology (KIPAC) is partially housed on the grounds of SLAC, in addition to its presence on the main Stanford campus. The Stanford PULSE Institute (PULSE) is a Stanford Independent Laboratory located in the Central Laboratory at SLAC. PULSE was created by Stanford in 2005 to help Stanford faculty and SLAC scientists develop ultrafast x-ray research at LCLS. PULSE research publications can be viewed here. The Linac Coherent Light Source (LCLS) is a free electron laser facility located at SLAC. The LCLS is partially a reconstruction of the last 1/3 of the original linear accelerator at SLAC, and can deliver extremely intense x-ray radiation for research in a number of areas. It achieved first lasing in April 2009. The laser produces hard X-rays, 109 times the relative brightness of traditional synchrotron sources and is the most powerful x-ray source in the world. LCLS enables a variety of new experiments and provides enhancements for existing experimental methods. Often, x-rays are used to take "snapshots" of objects at the atomic level before obliterating samples. The laser's wavelength, ranging from 0.13 to 6.2 nm (200 to 9500 electron volts (eV) is similar to the width of an atom, providing extremely detailed information that was previously unattainable. Additionally, the laser is capable of capturing images with a "shutter speed" measured in femtoseconds, or million-billionths of a second, necessary because the intensity of the beam is often high enough so that the sample explodes on the femtosecond timescale. The LCLS-II project is to provide a major upgrade to LCLS by adding two new X-ray laser beams. The new system will utilize the 500 m (1,600 ft) of existing tunnel to add a new superconducting accelerator at 4 GeV and two new sets of undulators that will increase the available energy range of LCLS. The advancement from the discoveries using this new capabilities may include new drugs, next-generation computers, and new materials. In 2012, the first two thirds (~2 km) of the original SLAC LINAC were recommissioned for a new user facility, the Facility for Advanced Accelerator Experimental Tests (FACET). This facility was capable of delivering 20 GeV, 3 nC electron (and positron) beams with short bunch lengths and small spot sizes, ideal for beam-driven plasma acceleration studies. The facility ended operations in 2016 for the constructions of LCLS-II which will occupy the first third of the SLAC LINAC. The FACET-II project will re-establish electron and positron beams in the middle third of the LINAC for the continuation of beam-driven plasma acceleration studies in 2019. The Next Linear Collider Test Accelerator (NLCTA) is a 60-120 MeV high-brightness electron beam linear accelerator used for experiments on advanced beam manipulation and acceleration techniques. It is located at SLAC's end station B. A list of relevant research publications can be viewed here. SLAC has also been instrumental in the development of the klystron, a high-power microwave amplification tube. There is active research on plasma acceleration with recent successes such as the doubling of the energy of 42 GeV electrons in a meter-scale accelerator. There was a Paleoparadoxia found at the SLAC site, and its skeleton can be seen at a small museum there in the Breezeway. The SSRL facility was used to reveal hidden text in the Archimedes Palimpsest. X-rays from the synchrotron radiation lightsource caused the iron in the original ink to glow, allowing the researchers to photograph the original document that a Christian monk had scrubbed off. ^ a b "SLAC renamed to SLAC Natl. Accelerator Laboratory". The Stanford Daily. 16 October 2008. Archived from the original on 29 January 2012. Retrieved 16 October 2008. ^ "Stanford Linear Accelerator Center renamed SLAC National Accelerator Laboratory" (Press release). SLAC National Accelerator Laboratory. 15 October 2008. Archived from the original on 20 July 2011. Retrieved 20 July 2011. ^ Nobel Prize in Physics 1976 Archived 7 December 2005 at the Wayback Machine. Half prize awarded to Burton Richter. 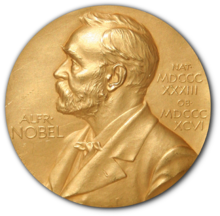 ^ Nobel Prize in Physics 1990 Archived 26 November 2005 at the Wayback Machine Award split between Jerome I. Friedman, Henry W. Kendall, and Richard E. Taylor. ^ Nobel Prize in Physics 1995 Archived 2 December 2005 at the Wayback Machine Half prize awarded to Martin L. Perl. ^ "Milestones:Stanford Linear Accelerator Center, 1962". IEEE Global History Network. IEEE. Retrieved 3 August 2011. ^ "Archives and History Office: Early Chronology and Documents". Retrieved 27 December 2016. ^ "2006 Nobel Prize in Chemistry". SLAC Virtual Visitor Center. Stanford University. n.d. Archived from the original on 5 August 2011. Retrieved 19 March 2015. ^ "SLAC Today". Retrieved 27 December 2016. ^ Saracevic, Alan T. "Silicon Valley: It's where brains meet bucks." San Francisco Chronicle 23 October 2005. p J2. Accessed 2005-10-24. ^ Neal, R. B. (1968). "Chap. 5" (PDF). The Stanford Two-Mile Accelerator. New York, New York: W.A. Benjamin, Inc. p. 59. Retrieved 2010-09-17. ^ Loew, G. A. (1984). "The SLAC Linear Collider and a few ideas on Future Linear Colliders" (PDF). Proceedings of the 1984 Linear Accelerator Conference. ^ Rees, J. R. (1989). "The Stanford Linear Collider". Scientific American. 261 (4): 36–43. Bibcode:1989SciAm.261d..58R. doi:10.1038/scientificamerican1089-58. See also a colleague's logbook at http://www.symmetrymagazine.org/cms/?pid=1000294. 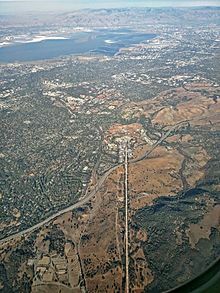 ^ "The Stanford Linear Accelerator Center". Retrieved 27 December 2016. ^ "SLAC Linac Coherent Light Source". Retrieved 27 December 2016. ^ a b "SOFT X-RAY MATERIALS SCIENCE (SXR)". Retrieved 2015-03-22. ^ Bostedt, C.; et al. (2013). "Ultra-fast and ultra-intense x-ray sciences: First results from the Linac Coherent Light Source free-electron laser". Journal of Physics B. 46 (16): 164003. Bibcode:2013JPhB...46p4003B. doi:10.1088/0953-4075/46/16/164003. ^ "LCLS-II Upgrade to Enable Pioneering Research in Many Fields". Cryogenic Society of America. 8 July 2015. Retrieved 15 August 2015. ^ Stanford's SLAC Paleoparadoxia much thanks to Adele Panofsky, Dr. Panofsky's wife, for her reassembly of the bones of the Paleoparadoxia uncovered at SLAC. ^ Bergmann, Uwe. "X-Ray Fluorescence Imaging of the Archimedes Palimpsest: A Technical Summary" (PDF). SLAC National Accelerator Laboratory. Retrieved 2009-10-04. Wikimedia Commons has media related to SLAC National Accelerator Laboratory.